Fishing meets NASCAR when this two day event kicks-off on Friday, December 9, 2011 with the Ryan Newman Foundation Charity Dinner and Auction presented by the Gene Haas Foundation. Attendees will spend the evening with NASCAR celebrities and professional anglers including: Martin Truex, Jr., Regan Smith, Kevin Harvick, Tony Stewart and Kevin Van Dam. Guests will enjoy southern cuisine, silent auction, and entertainment provided by Nashville song writers Billy Montana and Kendell Marvel. 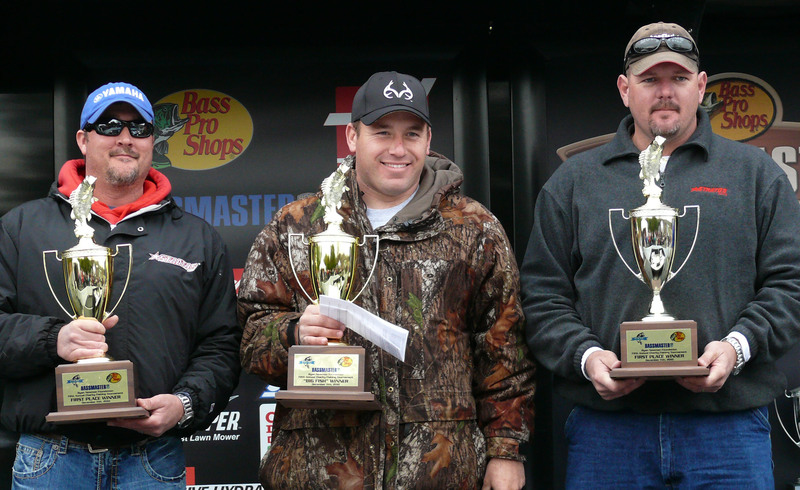 The bass tournament will take place on Saturday, December 10, 2011 at Blythe Landing on Lake Norman and is presented by Bass Pro Shops. The weigh-in will once again be facilitated by B.A.S.S. with special guest emcee Mark Zona. Anglers will compete for the grand prize of a 2011 Nitro Z9 boat equipped with a motor and electronics. Other prizes include cash awards, trolling motors, GPS systems, depth finders, rod and reel combos, digital cameras, gift cards and more totaling over $60,000 and will pay the top-12 spots. A consolation prize pack has also been added this year. Teams not in the top-12 will have the chance to be randomly chosen to win a prize pack. Three additional $500 prizes have also been added for top husband and wife, senior citizen and, adult and child teams. Event organizers have added a Chicken Port-O-Pit dinner this year, which will be held at the weigh-in from 3 to 6 pm. Fans, family, and friends will have the opportunity to come out and meet Ryan and Krissie with the purchase of a $10 ticket. There will be a 50/50 raffle and the winner will be announced at the dinner. Stroll the vendor display area and receive goodies from companies such as Wix, Coke, Chevy, Badin Lake Boating Center, John Deere, Tornados, Wine Shopat Home, Samsung, Bulova, Reeds Jewelers, and more. Kids fun/play areas also available! Visit Lake Norman officials began working with the Newman’s back in 2008. The event launched out of Queens Landing in Mooresville from 2006-2009. Last year was the first year Visit Lake Norman secured the event for Blythe Landing. Last year’s event had 256 anglers competed, and from 5 different states which generated an estimated $171,252 in visitor spending.